Lavender is an herb that is both beautiful and beneficial. As November is Sleep Comfort Month, I thought I would write one more post about sleep. 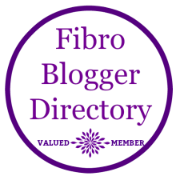 I have written about my fibromyalgia and difficulties sleeping (here and here). I have various sleep strategies I use, including using lavender oil or spray. So recently at lunch with a few girlfriends, one of them mentioned she hadn’t slept through the night since March due to various things going on in her life (stress!). Someone said, “Have you tried Ambien?” It’s really a shame that some people think first about a prescription medication to mask the problem, rather than trying easy at-home strategies first. I mentioned Lavender, Melatonin and Valerian root to her as a natural alternatives to try, but my favorite is still lavender. Good Earth Sweet & Spicy tea (herbal) – This has been my favorite tea since having something similar at The Good Earth restaurant when I was a kid. I enjoy a cup in the evenings or before bed. Chamomile is another great bed-time tea. Bath & Body Works Lavender Vanilla pillow spray – The whole line-up is great, really. I use the pillow spray, bath salts, lotion, and body spray. I sometimes am so relaxed from an epsom salt/lavender bath that I start dozing off in the tub! Lavender essential oil – The smell can be a bit strong, so rub a few drops into the soles of your feet, put some socks on, and prepare for relaxation! I also suggested she write in a journal if her mind is racing and she can’t get something out of her mind enough to sleep. So I checked in with her after a few days and she told me she had been sleeping through the night! Another success story! My wish is that more people would look to nature first for common ailments, before turning to traditional Western medicine with their pharmaceuticals. I know there are times when prescriptions are needed, but so often times you can look to nature for an alternative. Here are some other natural remedies to try. Do you have other natural methods you use for getting a good night’s sleep? This is such a great post and very well-written. I found myself becoming more and more relaxed as I read. Next Next post: Today Is Your Day!